As you read the scriptures, you are becoming like some of the people Lehi saw in his vision of the tree of life (see 1 Nephi 8). Lehi saw people hold onto the iron rod and not let go. The people had a testimony of Jesus Christ, and the iron rod helped them come unto Him. The iron rod is the word of God﻿—the scriptures and the words of our prophets. The people who held onto the iron rod learned that Jesus Christ lives. He is our Savior and Redeemer. He came to earth as the prophets said He would, and He will return to the earth again. As you continue to do the things you have learned this year, you will be blessed to know that Jesus Christ lives. You will have a testimony of your own. Read Doctrine and Covenants 76:22. Pray to Heavenly Father to help you know that Jesus Christ lives. Memorize Doctrine and Covenants 76:22. Help someone else memorize Doctrine and Covenants 76:22. Ask your parents or a Primary teacher to show you a scripture they like that teaches about Jesus. Cut out the ornaments on page 63 and look up the scriptures on each one. 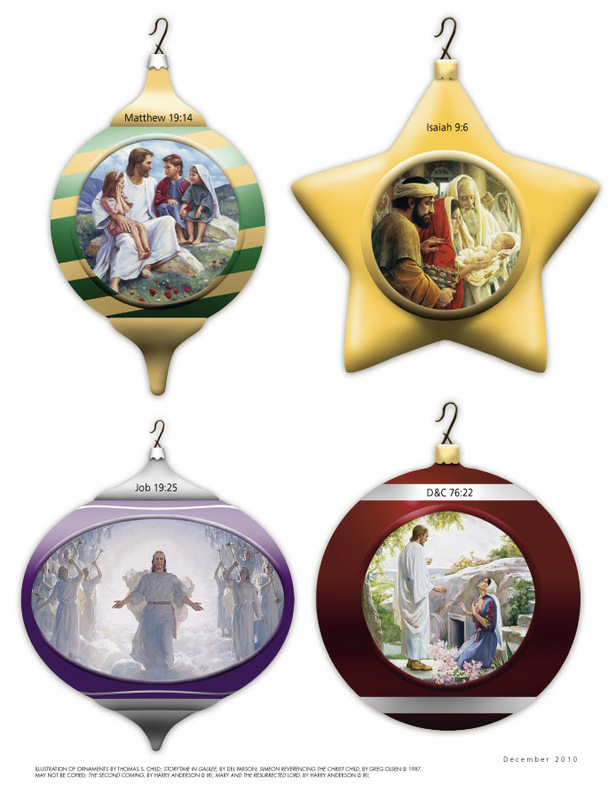 As you place the ornaments on a Christmas tree or around your home, let them remind you of the Savior. Learn a new song about Jesus Christ. It could be a Christmas song or hymn.